What Is a Proper Romance? I have to tell you the truth: When a book is called a romance, I don’t expect much in the way of lyrical writing. Purple prose, maybe, but not great wordsmithing. Throw in the expectation that this LDS publishing house is putting out whatever is the Mormon equivalent of inspirational romances, and I was prepared to be underwhelmed. I told the rep she could give me whichever one was her favorite, and she handed me Blackmoore, by Julianne Donaldson. Despite the lovely cover, I left it in the teetering to-be-read pile until just recently. Now, what do they mean by “A Proper Romance”? I’ve had a year to ponder this question. Do they mean that it’s innocuous enough to share with your grandmother without blushing? If so, will it be thoroughly boring or just not involve silken handcuffs? On the other hand, “proper” can mean perfectly executed, as in selecting fresh tea leaves, bringing the water to a boil, and brewing for just the right amount of time to make a “proper cup of tea.” Since I’ve read two titles in this series now, I imagine that Shadow Mountain intends for it to mean both innocent and beautifully done—and they are not boring. 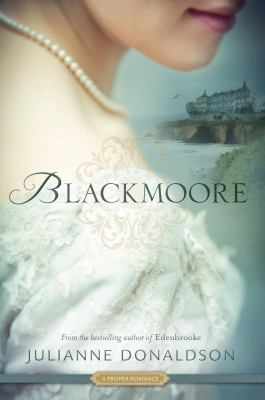 Blackmoore was a Regency-type novel about a young lady named Kate Worthington who had declared that she would never marry, but would remain a spinster and follow her beloved aunt to India, where they would live as independent women. Her parents believed that Kate was being ridiculous, as making a good match was the only option for a respectable young lady. Before leaving the country, though, Kate had one wish: to visit her dear friend’s estate called Blackmoore, located on the coast, with the pounding sea on one side and the lonely moors on the other. Her dear friend’s name is Henry, and his mother is not fond of Kate and is furious that she showed up just when a lovely young heiress is visiting Blackmoore in expectation of Henry’s proposal. Shades of Jane Austen and the Bronte sisters aplenty, but delightfully so. The attraction and tension in the novel were fairly sizzling. 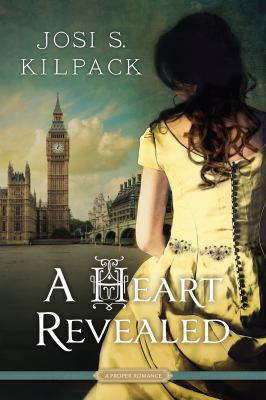 Since Blackmoore was better than I expected, I turned to the latest of the Proper Romance series, A Heart Revealed, by Josi S. Kilpack. Another Regency-type tale, this one had also garnered starred reviews. Never has a heroine been less engaging than Amber Sterlington, the most admired debutante of the London season. Although stunningly beautiful, she has pleased her calculating mother by showing that she can rank her many suitors by wealth, title, and even the nearness of their fathers’ deaths, and she means to take her place in society by choosing the man who would be most advantageous to her future plans. She has forced her younger sister to accompany her to various functions, rather than letting her share the season, as if she were Kate’s maiden aunt. In the meantime, Thomas Richards has left his father’s estate in Yorkshire for the season and traveled to London in order to find a wife. 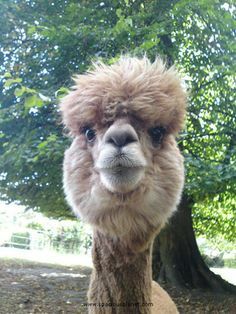 He despises city life and can’t wait to get back to his farm until the day he sees Amber at a dance and falls head over heels. However, Thomas is the third son of a country lord, and Amber humiliates him in public when he asks her to dance. This novel is less of a romance and more a coming-of-age novel for Amber. The reader will be incapable of withholding sympathy for the terrible situation in which Amber suddenly finds herself, and most of the novel concerns the tremendous growth that she experiences through suffering and changed circumstances. Everything she has ever known will be challenged, and she will become a better person, even against her own will. 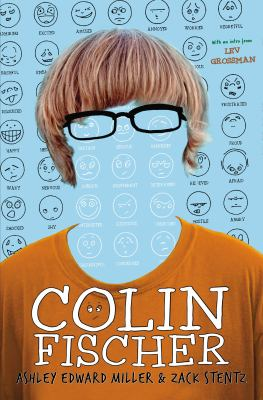 The story was very absorbing, and the character development was astounding. In between the informative nonfiction and the Important Novels that literary people must read, every woman needs a little romance now and then. These lovely books fit the bill perfectly. Regency stories with a little feminist stretching to bring our heroines up to date, heroes who are both hunky and virtuous, and stories that end just as they should. You can share them with your grandmother, your daughter, or your friends. A very Proper Romance, indeed. Disclaimer: I read a personal copy of Blackmoore, given to me by the publisher representative, and a library copy of A Heart Revealed. Opinions are solely my own and do not reflect those of my employer or anyone else. At this point, my symptoms got even more complicated, because I didn’t know if they were related to my illness or the drugs that my doctors were prescribing. My new blood pressure medicine worked by reducing my heart rate—to 46. Forty-six! I was afraid that my heart would forget what it was supposed to do from one beat to the next! I looked up “low heart rate,” and it said that sometimes people in very good shape have low heart rates. I considered that for half a second and admitted, “Nah. Probably not.” I called my doctor, and she told me to cut it in half. That helped a lot. In the meantime, the itching from the hives was becoming unbearable and the swelling continued. Of course, I was going through the usual allergy questions: laundry detergent? Soap? New foods? Nothing seemed different. The next time I showed up at my doctor’s office, she sent me to an allergist. Since I had had another bout of laryngitis caused by throat swelling, she got me into his office that same day. As usual, I got lost in downtown Raleigh. Arriving at the allergists’ office completely stressed out, I found a practice full of people who see patients reacting to mysterious and sometimes invisible substances in all kinds of ways all day long. No big deal. To me, it was a very big deal. In the past, I’d known that I was allergic to cats and latex. Solution: Do not touch cats or latex. Boom. Done. Now, I didn’t know what was going on. My preternaturally calm doctor and nurse decided to send me out to a lab for blood work, and then see me again in three weeks for a follow-up. They couldn’t do allergy tests that day, since I had had Benadryl (newly purchased!) the night before, but he was going to put me on a daily dose of a prescription antihistamine that would allow me to work. I launched into probably the most ridiculously condescending speech of my life (and there have been a few), saying that my goal was not to add another prescription medication to my daily routine, but rather to identify the problem and to eliminate it. The doctor was admirably restrained, and said that that was his goal, too, but that sometimes that was not possible, and it was certainly not going to be possible today. I was most unhappy. I was even more unhappy when, after more than two weeks, the five vials of blood I donated that day turned up nothing but a dust mite allergy. These critters are all over your house, your car, your office– you name it. Three weeks after that appointment, I was scheduled for allergy tests. I had to go off my now-beloved antihistamine for five days before the appointment. Within three days, I went from symptom-free to completely symptomatic. Even though we had bought a new mattress, box spring, and pillows, there had been no change in the hives, which mostly started in the wee hours of the morning. Fifty-five allergy tests later, I could see that I was a little bit allergic to cats and extremely allergic to dust mites. Talk about welts! The best thing that happened in that visit is that my husband accompanied me, so he got to hear three different professionals say, “You should never dust or vacuum by yourself.” One went so far as to say to David, “Maybe you could do that?” I asked the doctor if he thought I could get Blue Cross to cover a maid, and he replied, “I can’t even get them to cover Zyrtec.” He admitted that he did not think that dust mites could be the complete answer, and neither did I. He noted that I had recently switched from name-brand Synthroid—which I had taken for fifteen years— to the generic levothyroxine, and said that the inactive ingredients in the generic sometimes caused these symptoms. 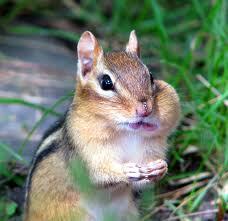 If that was the case, I would be only the third patient he had ever treated with that allergy. Would I be that rare patient?